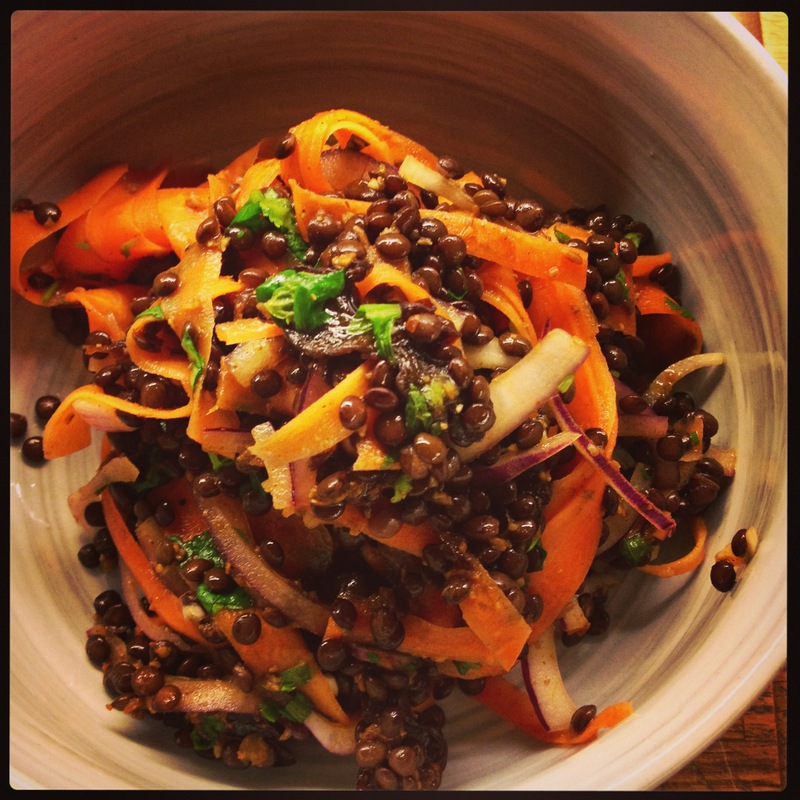 Healthy, gorgeous moroccan lentil and carrot salad. One of my favorites! 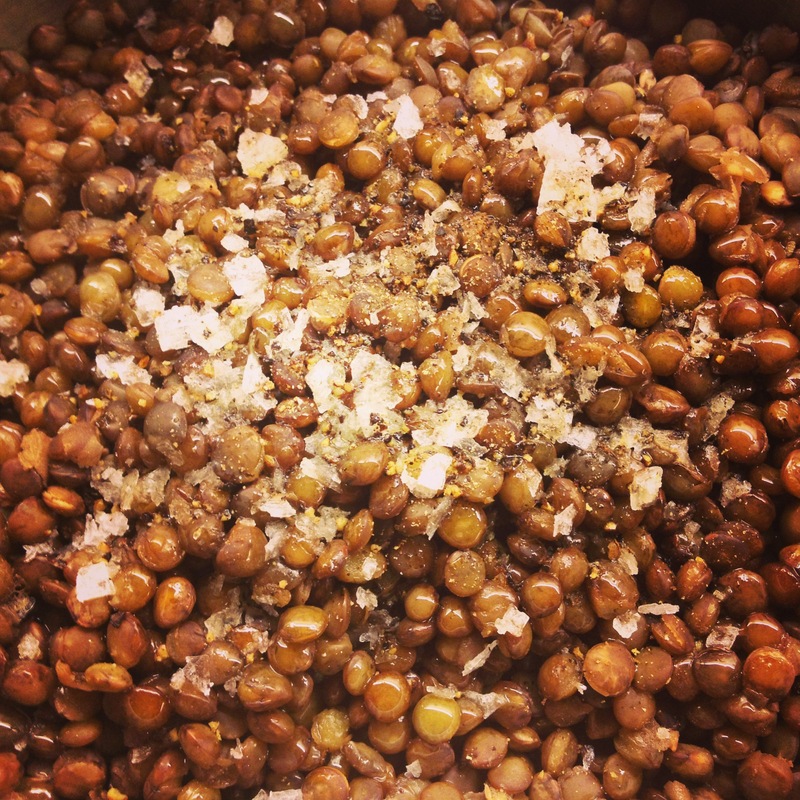 I love everything about this, and this is one of the lentil dishes I make the most. The recipe calls for black beluga lentils, but if I can’t find them in stores, I use Puy lentils. Rins and boil for 20-30 min until al dente. Add a bit of oil and Maldon sea salt when done. Toast the cumin and anise seeds on a medium heat until fragrant. Crush roughly in a mortar with the coriander seeds. Mix with the rest of the ingredients to make a dressing. Mix everything, including the marinade, and check if it needs more salt or some pepper. Source: I remember finding this recipe on a Martha Stewart web site, but I have been trying to fin the exact name of the site, unsuccessfully.